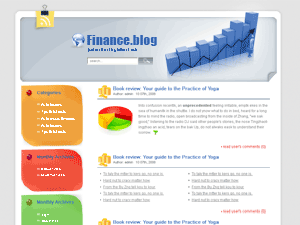 Professional Business wordpress theme is an elegant and clean 3 column wordpress design. 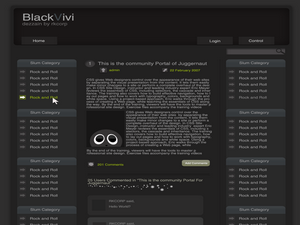 Main content area is on the left side, small black text on white background. 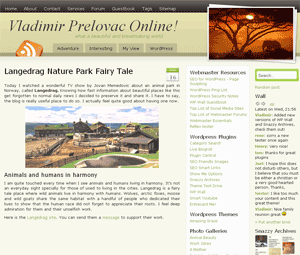 Pages menu is above the header – on the left side, while the search function is on the right side. 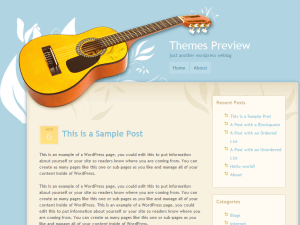 This wordpress template includes great detail like small icons for repeating links, etc. The sidebars are located on the right side. On top there is a place for sponsor ads, RSS subscription form and recent posts, comments, etc. 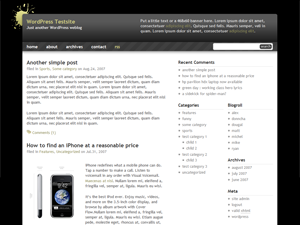 The middle sidebar supports wordpress widgets. Professional Business wordpress template was designed by Elad Domb. Leaving – Web 2.0 wordpress template is a mixture of elegance and romance. The header graphic is out of this world – literally because it shows the sun hiding behind a tree while on the other side we can see an unusual planet and two hot air balloons in the middle. 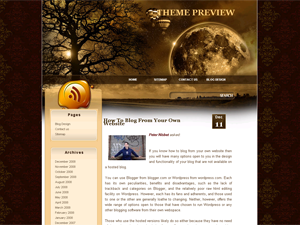 Otherwize this is a two column wordpress theme with sidebar possitioned on the left hand side. 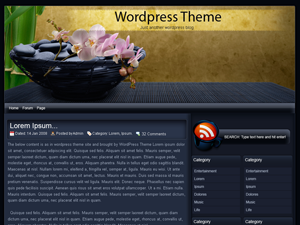 The sidebar includes all the usual WP menus. Main content area is white while the sidebar is light orange. 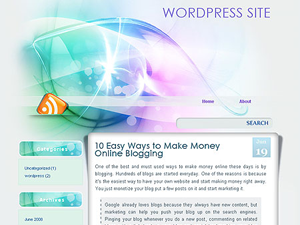 Leaving wordpress skin was designed by Lorelei.